Italian toy manufacturer based in Turin, mostly known for their toy cars and motorcycles, produced in different scales during the years. Early production was 1:40, then in 1955 they changed to 1:48, and to 1:43 from 1962. But there are a few bigger ones and some 1:66 models at the end of their production. 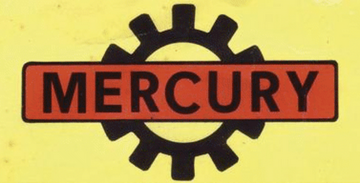 Mercury Models was in operation from 1932 to 1980.